The entrance room servers as a transition space between the exterior and interior where shoes are removed. Its ground level floor is made of black pebbles embedded in cement. 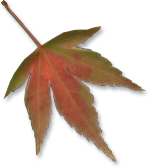 Walls are surfaced with Japanese mud plaster. The sliding entrance door is glass supported by a white cedar grill-style frame. 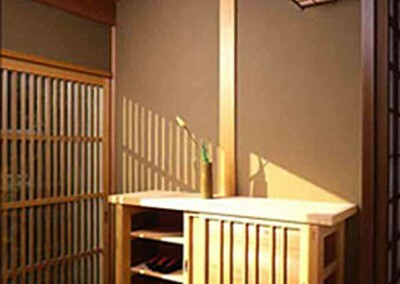 Shoji screens can close off the entrance room from the interior. 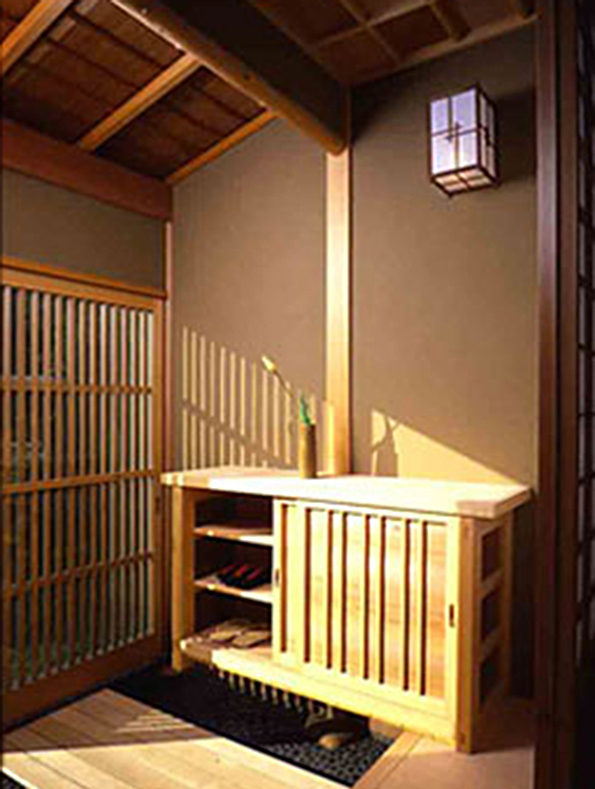 The shoe cabinet (getabako) is constructed with white cedar framing and red cedar panels. 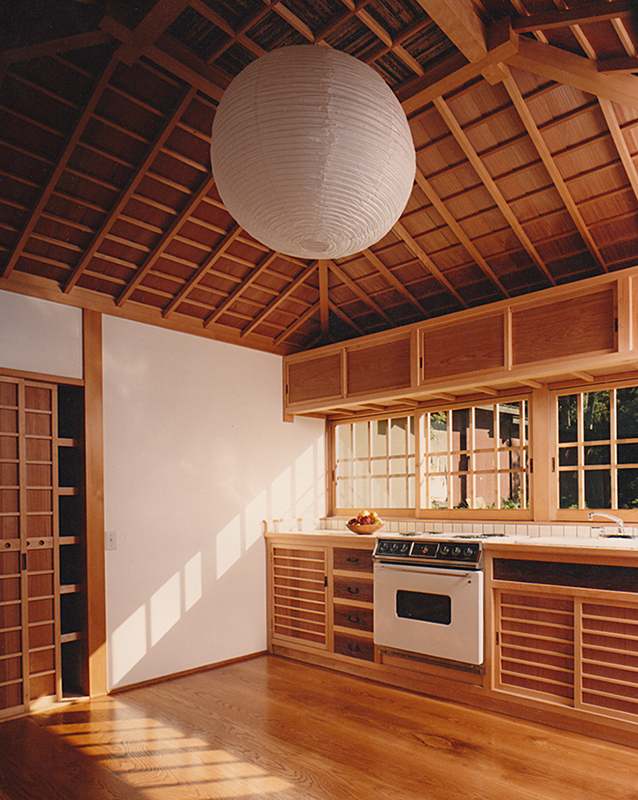 The Western-style kitchen is integrated with Japanese woodworking. Red cedar panels with white cedar framing provide color contrast in the ceiling. This same contrast is repeated in the cabinetry. 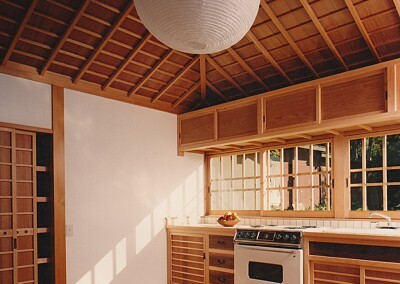 The varied geometric designs in the woodwork is reflected in sunlight patterns coming through the windows, thereby integrating the interior and exterior, an important principle in Japanese architecture. 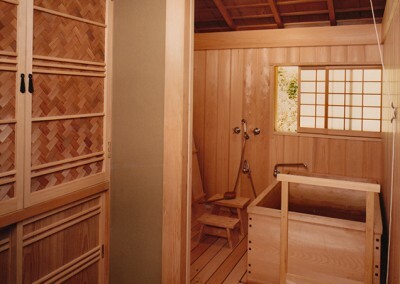 The bathing area has a traditional Japanese cedar soaking tub. The tub, floor, and wall panels are constructed with Port Orford cedar, a wood that holds up in water without warping. 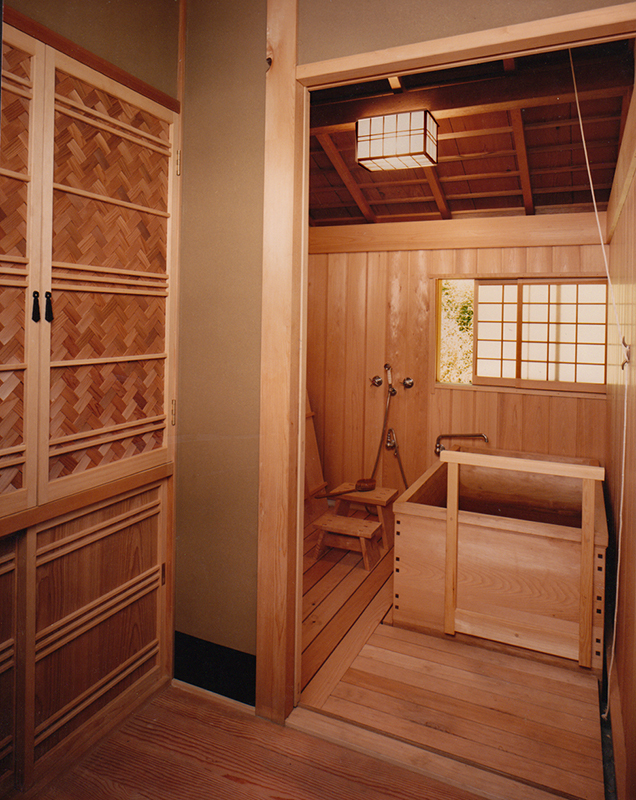 Since one washes off outside the tub, a slatted, removable wood floor (sunoko) allows water to flow down to a drain in the sub-floor.